ICD believes that following a proven and effective work flow is integral to a successful translation project. You can expect that when you use ICD’s services, your company will be a key player along with our highly professional staff of project managers, localization engineers, desktop publishing experts, and translators in your project. 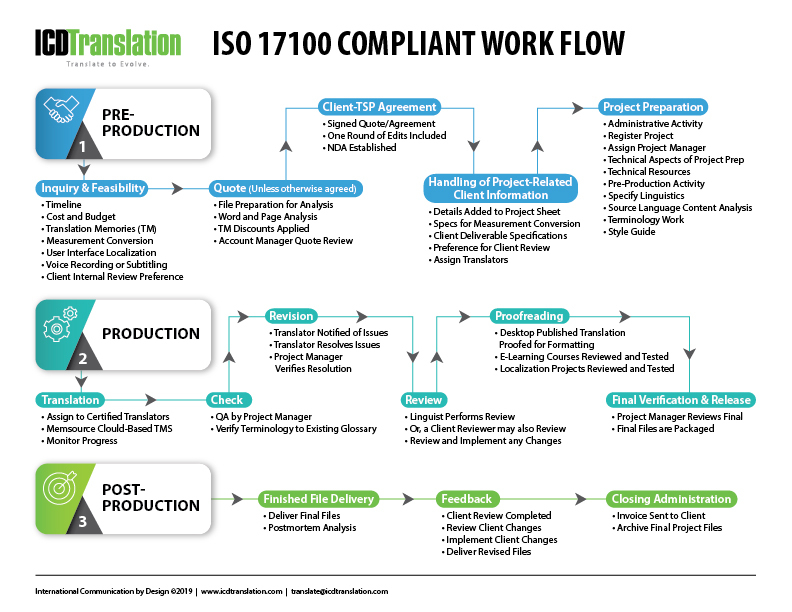 The process we use at ICD, is ISO 17100 compliant, and has been refined over hundreds of projects to ensure that we build quality into each step of your project.